On Friday, I chose to read a book instead of work. 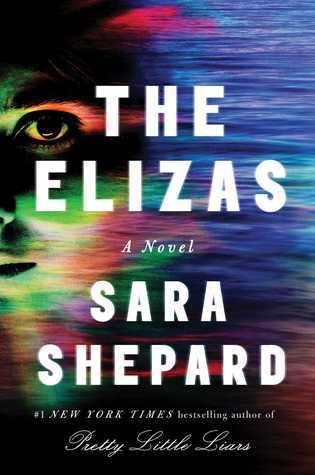 And, The Elizas by Sara Shephard was the perfect book to help me escape from reality and dive into the pages of this who-done-it thriller. Basically, this is an unreliable narrator, big money, beach read trash. And, every now and then, that is exactly what you need! This book revolves around Eliza, who wakes up in a hospital after she supposedly tried to commit suicide by plunging into a pool when she can’t swim. The problem: she has done this multiple times before, but this time, she insists that she was pushed. Making the story even more of a mystery is that the book alternates between Eliza’s life and the chapters of the novel she is getting ready to publish. As the story moves, it becomes apparent that Eliza and her main character have some startling similarities. Add in a family that seems to make situations work, Eliza’s love of all things dark and strange, and hero who drives a Batmobile, and you have yourself a novel that is silly, completely unrealistic, but very interesting. Even with all the crazy in the novel, I still wanted to know what was going on. Even better, while I thought I had it all figured out and that the author had left some big holes – I was wrong. Sara Shephard fills in all the appropriate gaps, but still leaves room for questions. For those looking for a fun, summer thriller and are fans of the show Pretty Little Liars, this is the perfect choice for you. Thanks to Netgalley for providing me with this review copy! All opinions are my own. This book releases this Tuesday, so go ahead and pre-order or put your library hold requests in today.